Symptom: we get connection properly and we can browse web site, but suddenly the connection disconnected automatically, needs PC restart to get connection and it occurs frequently. 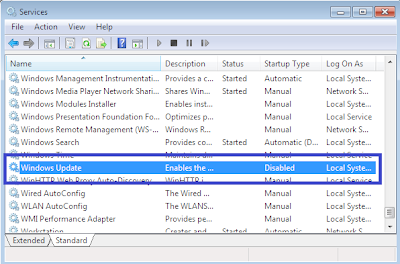 Click Start > Settings> Control panel> Administrator tools> Services and disable Windows Update service (Auto Update mentioned in Windows Xp). 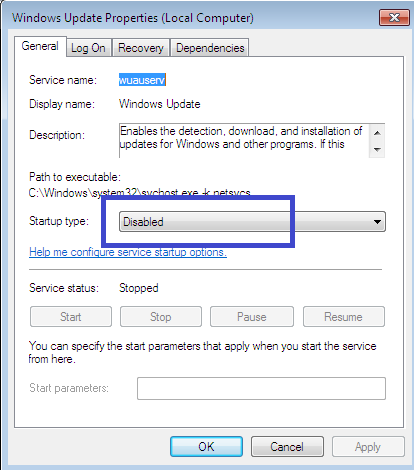 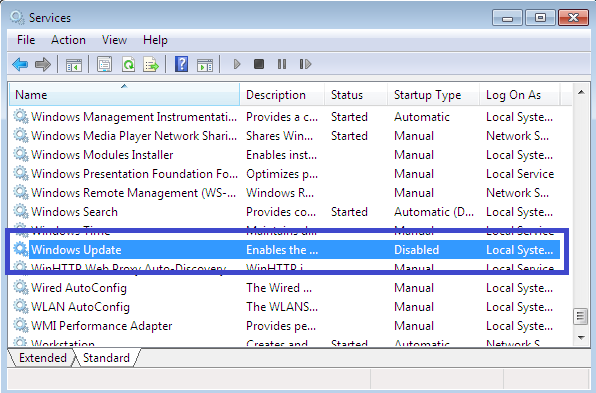 Double click on Windows Update (Auto Update in Windows Xp) service and select Disable in Startup type and click Apply button. 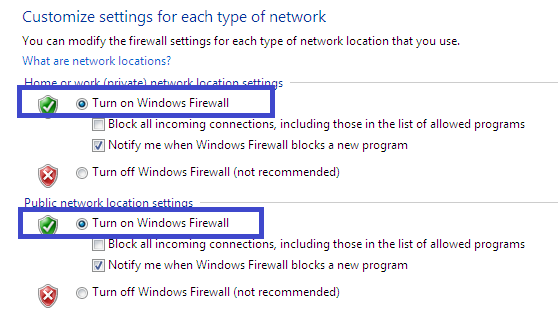 Stage 2: Enable windows Firewall. 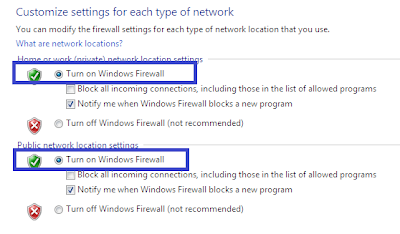 Select Turn on Windows Firewall.